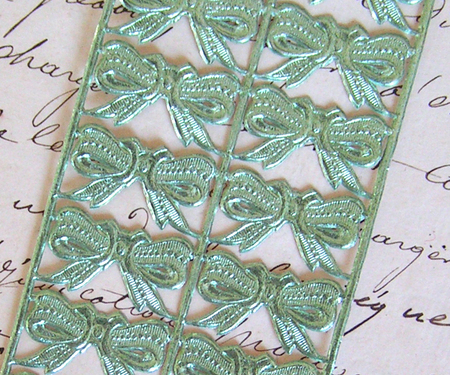 A quick post to let you know there are some new seafoam-hued goods at One Hundred Wishes. I happen to love this color and the way these items all coordinate. 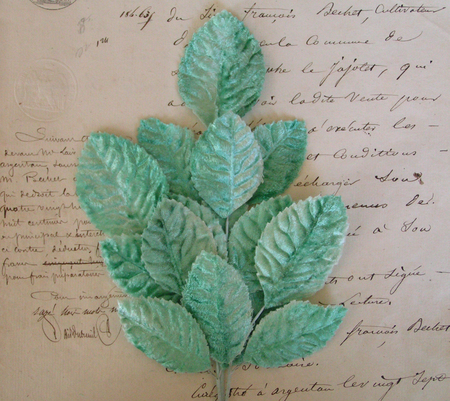 These soft velvet leaves are now stocked in 10 sumptuous shades. The seafoam Dresden are brand-spankin' new from Germany. 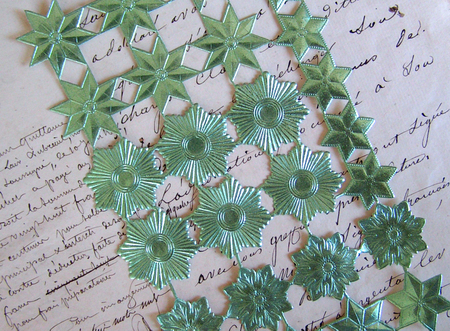 There are assorted stars, bows, borders, and more. Click here to browse all 4 pages of Dresden foils. Also, a new life-size Dresden tiara fit for a queen is in store. It's ready to be embellished, tied with ribbons and flaunted about. This is made of a very thick, sturdy foil paper, and meant to be worn. You can always click the What's New page to see all the latest additions to the store. I don't always post each and every new item on this blog, as I'm sure that would get awfully boring! Ok, I'm off to get the kiddies out of bed.....I hear Mario calling my name. Time to start this beautiful day! 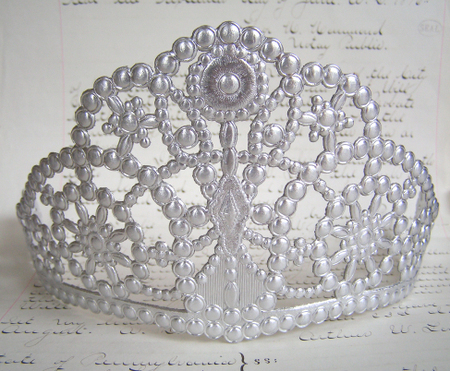 I love that tiara, I can just imagine how I can decorate it!!! Have a wonderful Day!!! Loving the seafoam colour... and that tiara... I'm off to check out the website now! hi andrea - what lovelies you have - i have to get me some of the velvet leaves!! 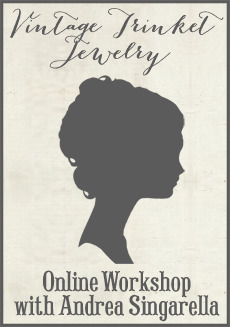 - i am taking a sally jean class in august so i am excited !! looks like you had a blast in her class so i can't wait !! Hi Andrea!! Such pretty new things!! I love the phones in the previous post!! Oh Andrea...such a pretty color. The leaves are gorgeous! The little crown is wonderful. I'll have to go shopping in a week or two. I already ordered a tiara. Seafoam...seafoom...you'll take all my money. Just joining in the chorus of those who love seafoam! So pretty and soothing. It's always been one of my faves, especially to wear. ooo! gorgeous love the crown too bookmarked!